​West Ham are set to give Middlesbrough the chance to sign loanee Jordan Hugill on a permanent deal this summer. The Hammers have place a £10m price tag on the 26 year-old striker in an attempt to claim back the transfer fee the club paid for the player 18 months ago. Hugill signed for ​Middlesbrough on a season-long loan in August 2018. The striker has made 34 appearances for Boro this year, scoring six ​Championship goals. It is reported by the ​Northern Echo that Middlesbrough will be offered the chance to sign Hugill this summer, but his parent club are asking for a fee of £10m. ​West Ham paid a similar price to bring the striker to the London Stadium from Preston North End in January 2018. 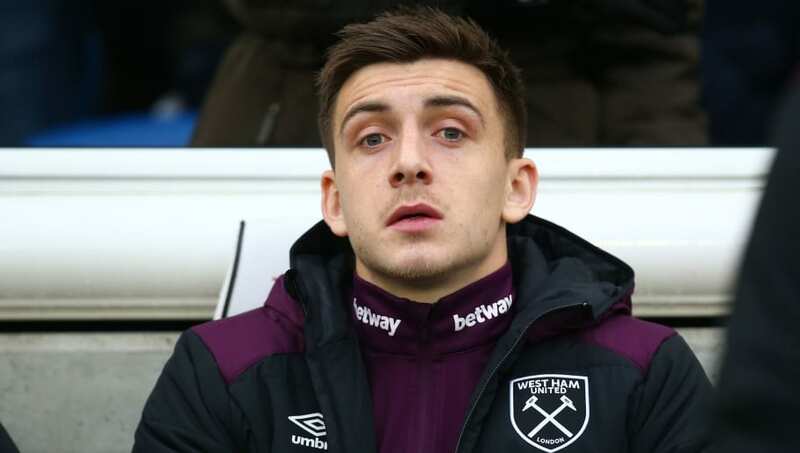 Hugill managed just three appearances in the ​Premier League for West Ham and failed to score in his 22 minutes of action. The striker’s lack of goal scoring prowess may persuade Hammers boss Manuel Pellegrini to offload Hugill in the summer transfer window. Middlesbrough’s decision to take the plunge and sign Hugill could all depend on the outcome of their season. Boro currently sit in the Championship play-off positions in fifth place, although the Teesside club are only four points from eleventh. Should Boro be confined to another season of Championship football it would be unclear whether the club would be able to find the funds to sign the striker. Boro boss Tony Pulis has also hinted at the possibility of leaving the Riverside Stadium once his contract expires this summer, which may leave Hugill surplus to requirements.